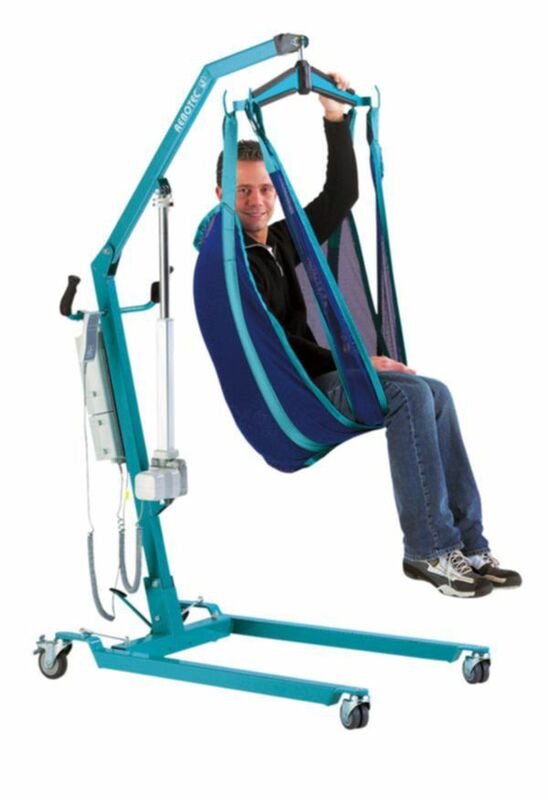 Electric patient hoist for indoors usage. Electric patient hoist for indoors usage. It is composed of two parts for easy transfer. The legs can spread or get closed in 3 positions, that can be performed even while the patient are already on it, offering great comfort during use.